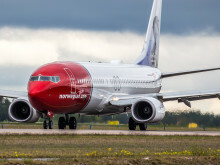 Norwegian, the World’s Best Low-Cost Long-Haul Airline, has launched the world’s first female-driven in-flight entertainment comedy channel in an exclusive partnership with the online comedy platform PYPO, Put Your Pretty On. This is the first of many exciting milestones that will come from this partnership throughout this year. The on-demand in-flight video channel will be available on all of Norwegian’s Dreamliner-operated long-haul flights. Comedy sketches such as ““Amy v Craig”, “Lady Sizes” and “Wedding Dress” features stars like Rose Byrne, Dan Bakkedahl and Damon Herriman. The next step in the partnership includes the creation of exclusive content which will premiere on Norwegian in-flight entertainment system before it’s accessible on PYPO’s own platform. “This is an exciting partnership for Norwegian as it focuses on providing even better entertainment onboard for our passengers. By joining forces with PYPO, we will be able to offer exclusive content and never before-seen opportunities, which we will be able to announce more details of in the coming months. We are thrilled that Stephanie Laing and her team will work with our creative team to create something extraordinary,” said Anders Lindström, Director of Communications USA, Norwegian, and project manager. Stephanie Laing, who launched PYPO in 2015, directed her first movie, “Irreplaceable You”, which premiered on Netflix last month and streaming now. Laing is also an award-winning TV comedy producer and director (“Veep”, “Eastbound & Down” and “Divorce) with two Emmy® wins and eight nominations. “We could not be more excited for our comedy channel to take flight with Norwegian as comedy is truly without borders. We hope to entertain passengers onboard in a different way with our unique approach to comedy. Our partnership with Norwegian will allow PYPO to take on new opportunities on a more global scale and highlighting female comedic talent to new audiences,” said Stephanie Laing, Founder, PYPO. FOR MEDIA ONLY: Sample sketches from PYPO’s Norwegian in-flight channel are available here: “Amy v Craig”, “Wedding Dress”, and “Lady Sizes”. About PYPO: Since its inception in 2015, PYPO (Put Your Pretty On)’s digital studio has been supporting women in comedy both in front of and behind the lens. PYPO believes in disruptive, witty and honest comedy as a medium for current conversations to be explored in a smart and unapologetic way. 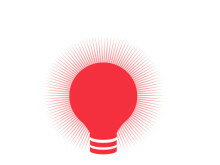 For more information on PYPO, visit PYPO.com.